Found this tiger print muumuu...thing and conveniently matching fuzzy tiger striped hat at buffalo exchange. Of course I would wear them together. 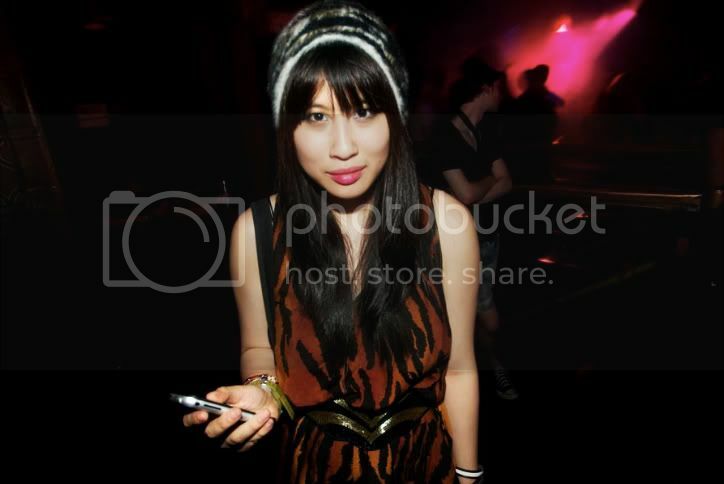 To add insult to injury, I was wearing my jeffery campbell x LF leopard print booties too. It was pretty (excuse the pun) wild. love love loooove your blog! this is my first time reading u and WOWWWWW!!!! love your clothes, your style, your pictures... everything!!!!!!!! you look so good with bangs. adorable; i love that print. Love your animal look, lol. Especially the belt, is it vintage? I like how you went the tiger route instead of the leopard (only) route. Nice! your style=AMAZING. kinda makes the rest of us look pathetic. heehee! girl, that pic is soooo cool! love the blog! You're very pretty girl! Stunning blog! All the animal print is just too rad! i love this picture, your bangs are lovely and the tiger print too! we love leopard print! You look amazing here!